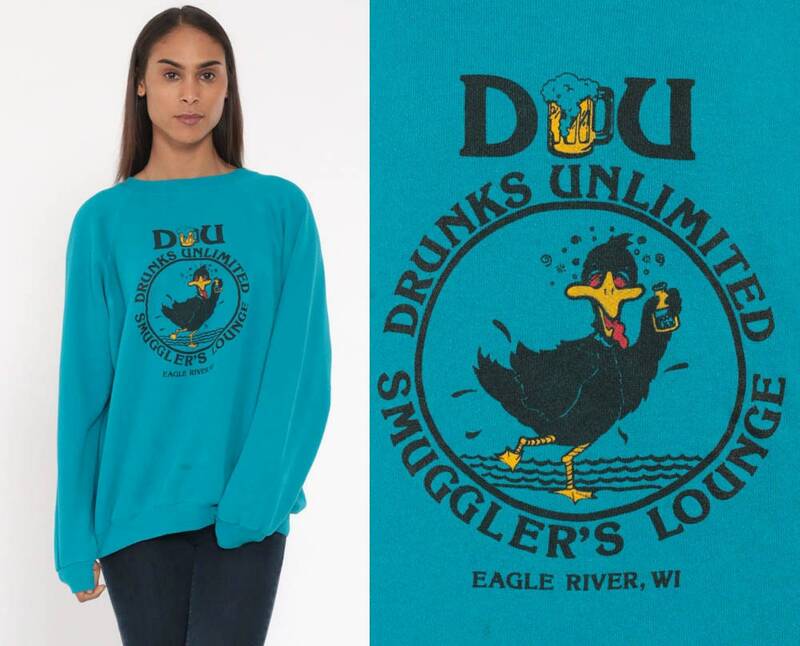 Vintage 80s sweatshirt with a drunk duck on the front and 'Drunks Unlimited Smuggler's Lounge' on the front. 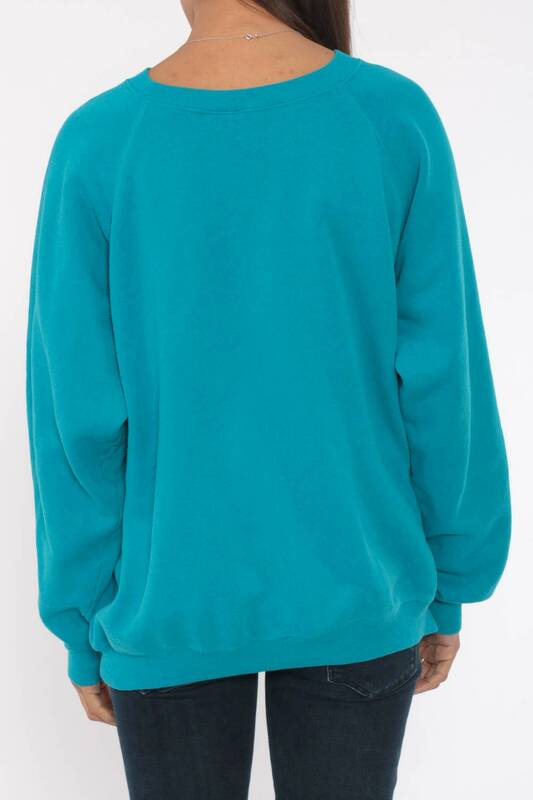 Slouchy fit, unisex. Every item we sell is authentic vintage and one-of-a-kind! You will receive the EXACT item shown in the photos. For reference, model is 5’9” and measures 32-24-35. Condition: Very good vintage with light general wear. Has a light yellow spot on front waist. Taken from seam to seam while the garment is lying flat. Double the armpit, waist, and hips.